St. John Learning Center | For information on our current classes, and to stay in touch through email and/or social media, please see the links below. 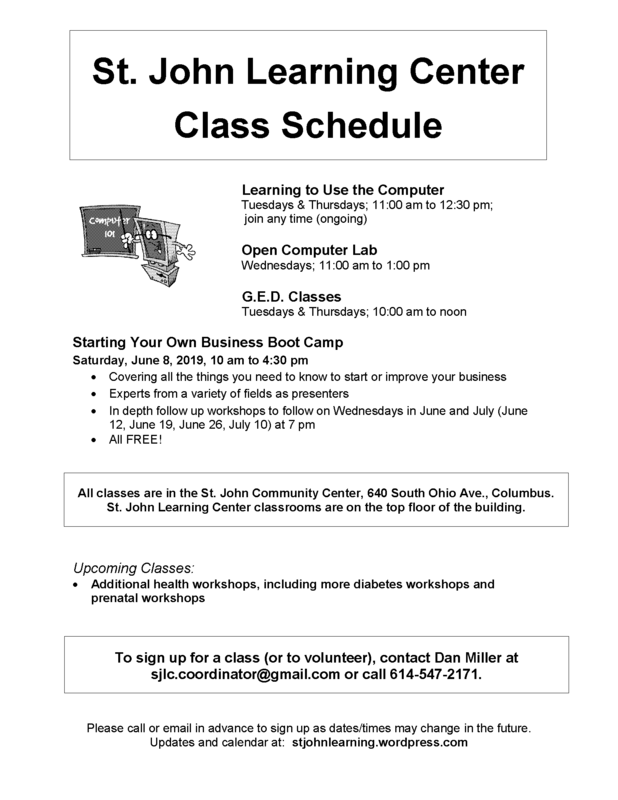 Here’s our updated flyer with our Starting Your Own Business “Boot Camp” added on June 8th. Please share! Call 614-547-2171 for info and to register. Remember, you can also check out our calendar of classes by clicking on the class calendar link above. Call 614-547-2171 for details and to register. Happy 2019! 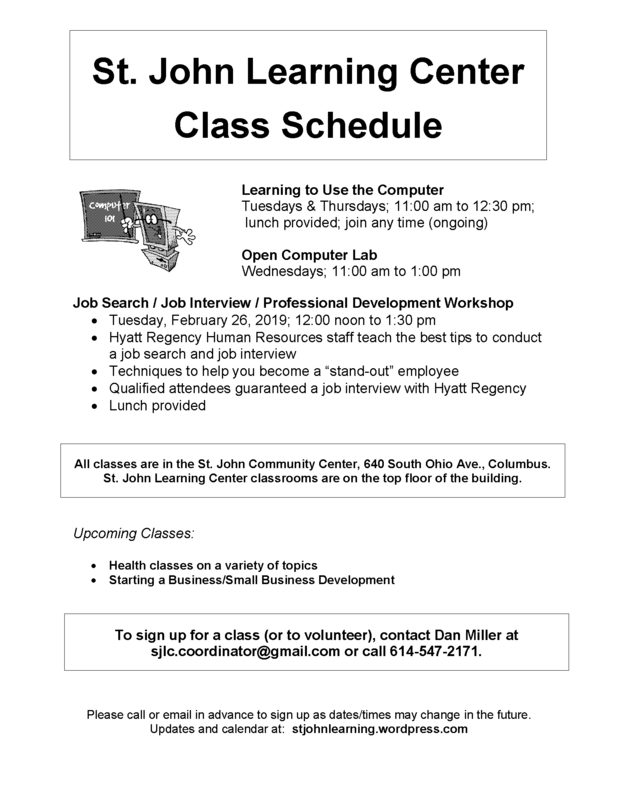 St. John Learning Center classes are back up and running! See and share our latest flyer (below). G.E.D. classes will also start again soon. More details to follow on that. St. John Learning Center classes will be on break from December 17th through January 7th. Classes will resume on January 8, 2019. The St. John Learning Center is a program of Holy Rosary-St. John Church. To learn more about how to donate on Giving Tuesday, go to hrsjchurch.wordpress.com. Be sure to check out the links (above) on our blog/website: see our class calendar, sign up for our newsletter, and visit our social media. You can also see all the events/programs/organizations in the St. John Community Center by following the link on our class calendar page to the overall calendar for the St. John Community Center.